One week ago, I was getting myself geared up for my second race this year. I didn’t have much expectation this year after the poor organisation last year. Despite that, I joined out of habit. I mean it’ll be weird if I don’t take part in the night race that I’ve been a part of since 2016. There ain’t many night race here in Singapore to begin with. However, by the time I concluded the race, I knew that Sundown is so much better than the one last year. Race Entry Pack Collection (REPC) might only be an occasion organised for participants to collect their bibs and tags, as well as to get their hands on to some goodies put together by the sponsors. However, to me, the REPC serves as an indication of how well the entire race would be organised. You know, the first impression counts. Compared to the chaos of last year’s, this year the organiser has made some major adjustments. First, the collection point is no longer at an open area, they brought it indoors. I could still remember how we were forced to queue under the sun at F1 Pit last year while wondering how long more would it take before our turn. This year, they broke the collection into two parts. 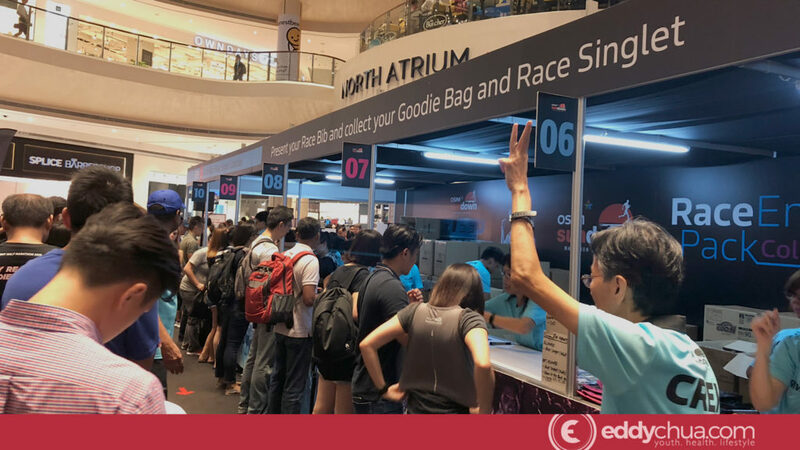 Participants collect their bibs from outside Suntec City before going to the mall to grab the race singlet and the goodie bags. It was surprisingly fast. The entire process took less than 15 minutes. The queue was cleared quickly before it became a long-winding snake. To make it more impressive, I was there on a Friday evening. After I collected my goodie bag, I thought to myself: This year’s Sundown is going to be a whole new experience. The organisers put in place 3 lead-up runs to prepare the runners for the race. These include 12KM/22KM, 14KM/27KM and 19KM/30KM over three weekends. I wasn’t able to join for the first two runs because of personal commitments, but glad that I was able to set aside some time for the last lead-up. I must admit I was rather excited to go for my first official lead-up run despite having to run the race since 2016. It was during the evening of 21st April, slightly after the afternoon drizzle. 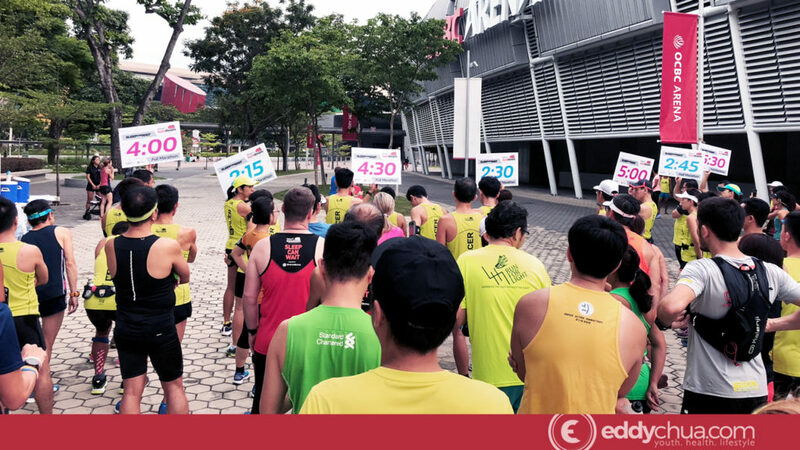 Every participant made their way to the OCBC Arena and everyone was feeling energised. I wasn’t that sure if I was ready for a 19km because I hasn’t been training that frequently compared to the race last year. But well… Since I was there, might as well give it my all. I mean, the race was due to flag off in another few weeks times. There was no better time than that. I remembered I started well, even going on par with the pacer for the 30KM run (that’s for the Full Marathon runners). For a good 5km, I was ahead of everyone. Then slowly, I fell back and by the time I went for my toilet break at around 6km, I lost the sight of the running contingent. I eventually just OTOT all the way to East Coast Lagoon Food Centre before heading back to OCBC Arena. It was a good run. The hydration points along the route served as an extra motivation for me to complete my training. The 19KM runners were entitled to a hydration point along the route somewhere around Parkland Green. It gave me an opportunity to hydrate myself and take a breather after trying to outpace a girl who appears to have an optimal running economy. I went on to try and outpace two fit uncles after the break. Well, I guess running with a group does have its perks. The big night is here! Like I’ve said previously, I expected this year’s race to be a whole new experience. I am not far from the fact before I reached the race venue. 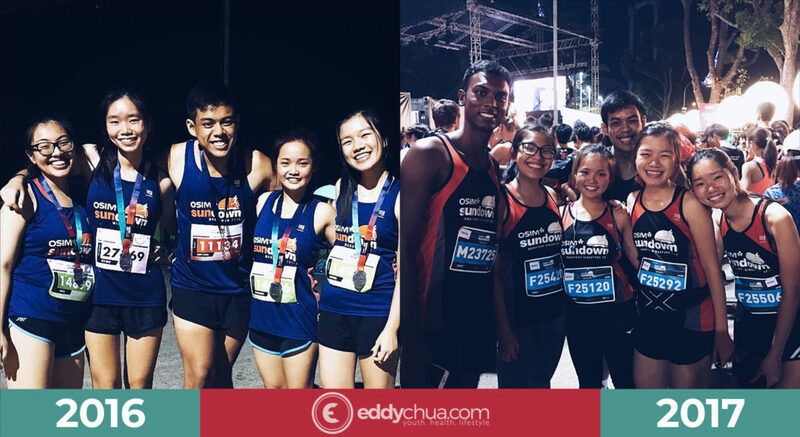 For the first time in my three years of participation in Sundown, I was on the verge of running alone. It was not until when Charmaine told me that she was also running. We met up at Promenade MRT at around 2230 before making our way to the 7-11 at Marina Square so that our little one can get her fuel. We slowly walked to the race village where the containers of last year were replaced by tentage, freeing up so much space for the large crowd to enter and even take group photos. The organisers succumbed to the fact that fancy exhibition idea is not feasible under the constraint of spaces. They heard the complaints and made the amendments this year. Well done! But there was one thing we suspected they might have screwed up. The pen allocation. Charmz and I had no idea why we were being allocated to Pen A, if the pen was supposedly for participants who were able to complete the course within 2 hours. 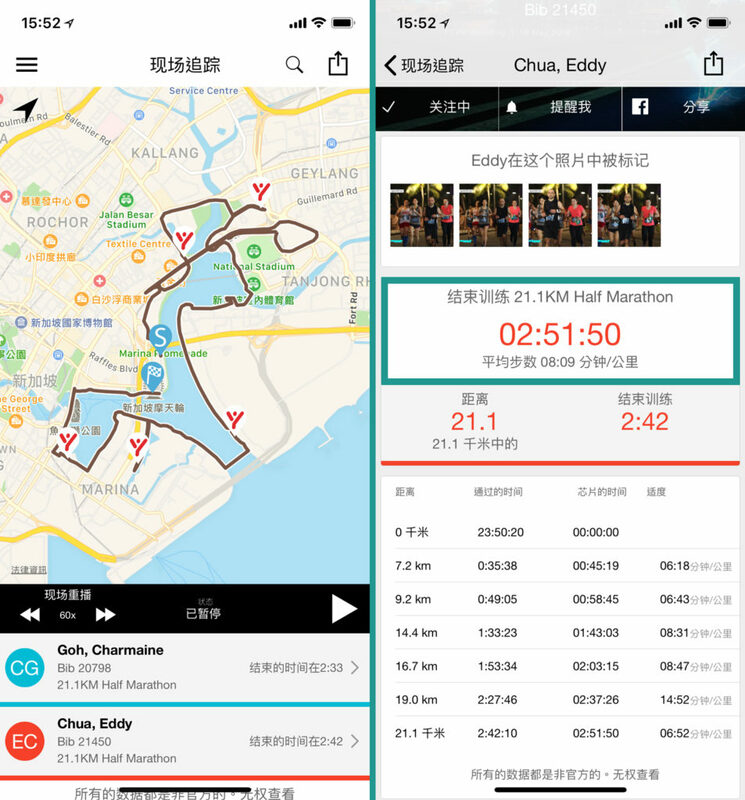 Although I was running with my Adidas Sub-2, that doesn’t equate to the fact that I was able to run my race in 2 hours – especially not when I didn’t have enough proper trainings leading up to the big night. Even if they screwed up our pen allocations, it was a beautiful one. We were entitled to a rather spacious starting pen and since we were being thrown to the front, ahead of the masses, we were given a clear view of the starting point and all the entertainment that was happening. For the first time, we were able to join in for a warm-up session – conducted by TripleFit. After we stretched some muscles, we were ready for the flag-off. It was a race that I personally would not be proud of. I’ve let down such a well-organised race. On the night that, despite not as fit as I was during last year’s edition, I was expecting to beat my previous records, I succumbed to my intestinal health. I spent at least half of the race going around looking for the washroom. It’s definitely not fun having the urge to go to the washroom during your run. It’s worse when you had to go twice. It still bugs me why my stomach worked up every time during a long-distance. Charmz told me that it might because of me and my spicy diet. I had to agree. I couldn’t live a day without taking something spicy, even until race day. Look like I have to review my diet for my next race. Given that we were thrown into the first pen, there was no obstacle for us. No roadblock, no bottleneck, everything was just as smooth. 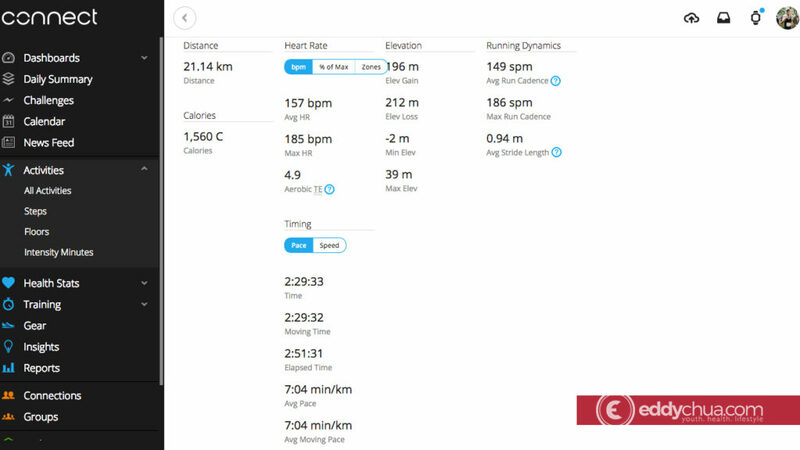 If I had been last year, I guess I’ll be able to speed past the first 5km below 28mins. 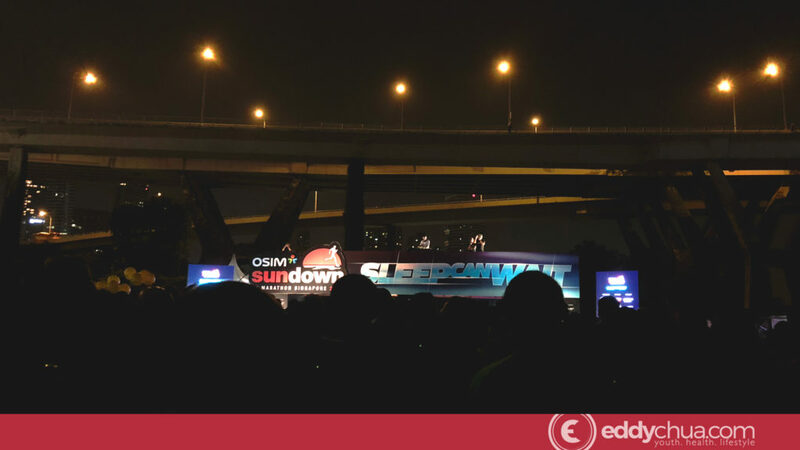 Talking about timing, I need to commend Sundown for having this phone app this year. 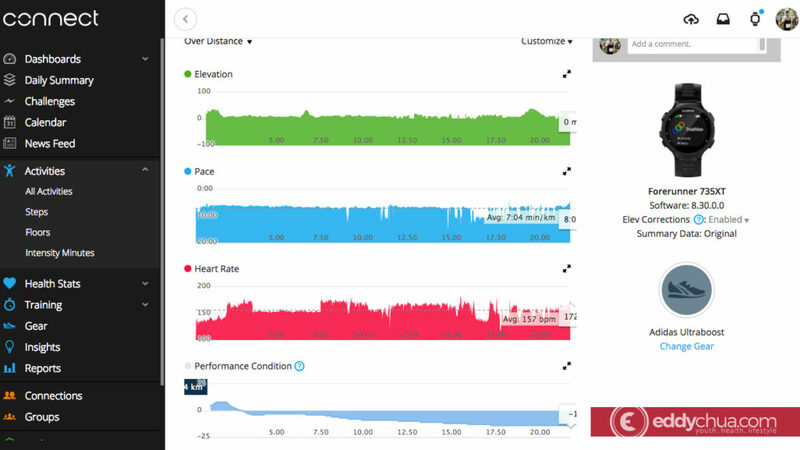 The Sundown App allows whoever who are interested to track the performance of the runners. I basically use it to track myself and Charmz. It would give notification whenever the person you are following past the different milestone. The only downside to this app was that it didn’t manage to tag the correct photos of me. Oops. You can clearly see the amount I spent at my second toilet break before the 19km mark. Terrible. I was still telling Charmz that my aim was to not go for any toilet break while we were at the starting pen. Ah well. No point crying over poor pre-race strategy. 2 hours and 51mins after we set out for the race, I finally crossed the finishing line. There were regrets for me, the stage was set but I didn’t perform. Disappointing, but thank God that I was finally done with the race. Charmz was already waiting for my at the race village. She was sitting down doing her post-run stretch when I found her near our bag collection area. We lepaked on the pavement, cooled ourselves down and did some catching up. 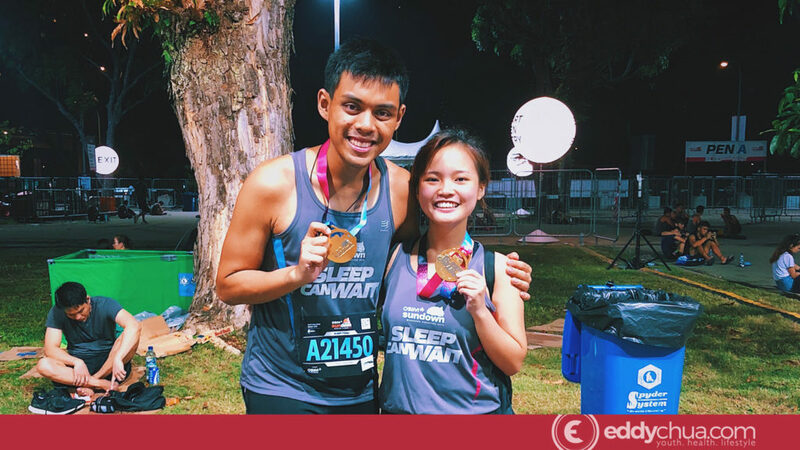 While this marked the last paid-run for her, it will be a while before I take part in my next race – yes, I will not be taking part in this year’s Army Half Marathon.